It's a battle between Boeing and Airbus the rapidly growing government-backed Russian airline Aeroflot group it's being reported today. The airline is currently considering a “sizeable” order for Airbus A320neo family of jets or Boeing 737 MAX narrow-body aircraft, according to a top-level executive today. 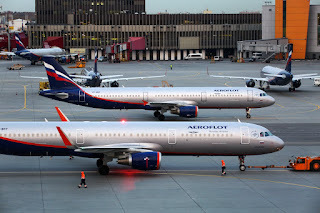 Aeroflot already has a mixed fleet, including 146 aircraft from the A320 family along with 54 737-800s jets and now looking to replace these older models with newer, more fuel-efficient and technologically advanced offerings from the two leading global manufacturers. “That is something that we are looking at,” Aeroflot Deputy General Director for Strategy and Alliances Giorgio Callegari told Reuters of the potential order on the sidelines of the CAPA Asia Summit 2017. “Probably in the next year we will at least know the direction. It will be a sizeable order,” he said, declining to provide estimated numbers. Callegari told the news agency that the Russian national airline wanted to keep both Airbus and Boeing narrowbodies in its fleet because it used them in different seating configurations and did not want to be reliant on a single manufacturer. Many years ago Aeroflot had a reputation within the industry of operating a fleet of ex Soviet-era jets of dubious age. However, those days are long gone now for the airline as the average age of the current fleet is just a little over 4 years. Recently the group has faced very challenging trading conditions, including sanctions imposed by the USA and Europe and a shrinking domestic market due to the weakening of the Russian currency, the rouble and the global all-time low prices in the global oil market which has had an adverse effect on the Russian economy. Recent figures released by the airline group showed a drop in net income of some 40 percent, which could be blamed, at least partly, on the weak exchange rates and sanctions. 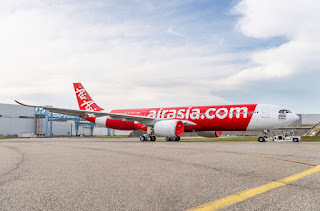 At this stage, it is unclear when the airline would make a decision on which manufacturer to favour with the larger order, however, some analysts are suggesting that the promise of a massive order is simply a ploy to have sanctions lifted or at least relaxed.